Ben and Erin chose Campeche, Mexico, for their own destination wedding – at the magical Hacienda Uayamon about 30 minutes outside of the city. Their wedding guests loved touring the city of Campeche, visiting the Mayan ruins nearby, and having dinners in town by the water. 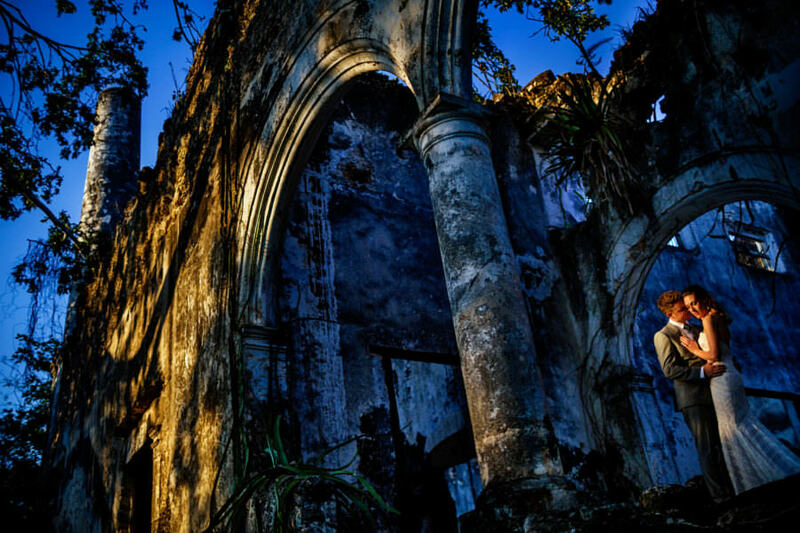 The town of Campeche has a lot to offer for a Mexico wedding, and although it’s not as popular yet with Americans as it is with Mexicans, we see that changing as more wedding couples discover our beloved Hacienda Uayamon. 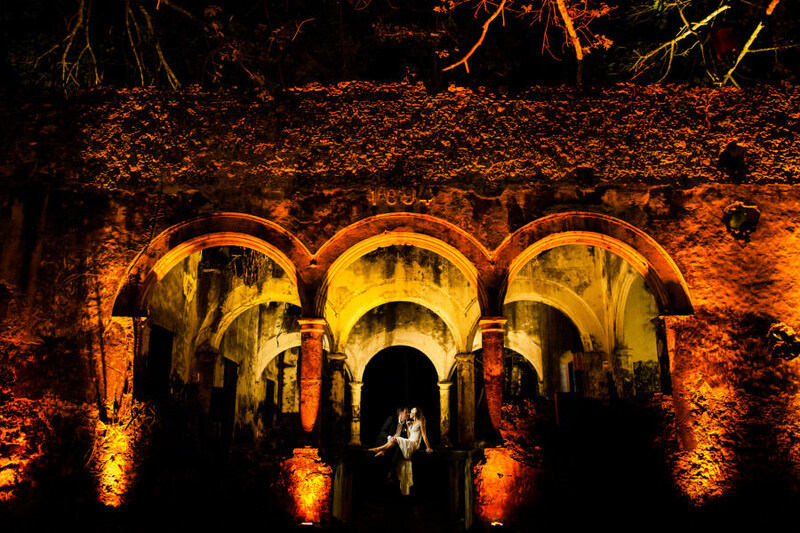 Jessica and Brian marry amid the chapel ruins at Hacienda Uayamon. Former NBA dancer marries the love of her life in a Mexico destination wedding at the one and only Hacienda Uayamon. 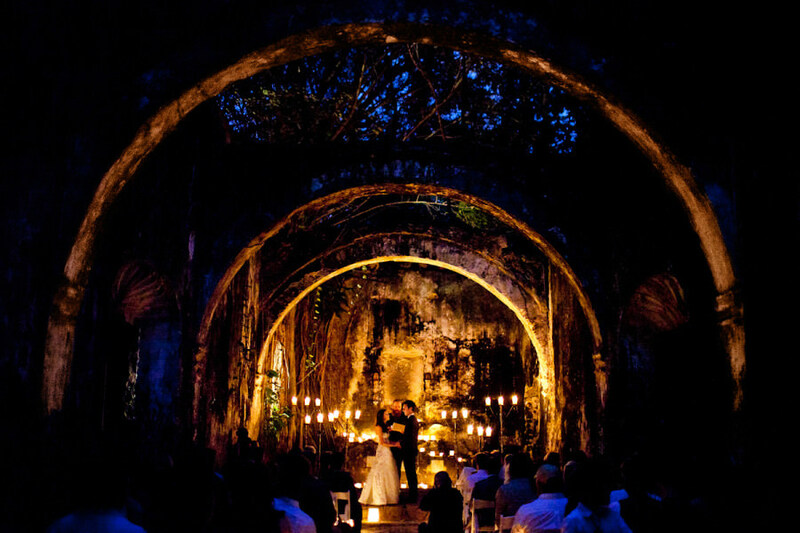 Chrisman Studios photographer Aaron Morris unveils his photos from Ben and Erin Chrisman’s Hacienda Uayamon wedding.